Inspire Pre-Dance classes are designed to introduce toddlers, pre-school, and kindergarten children to the world of dance. 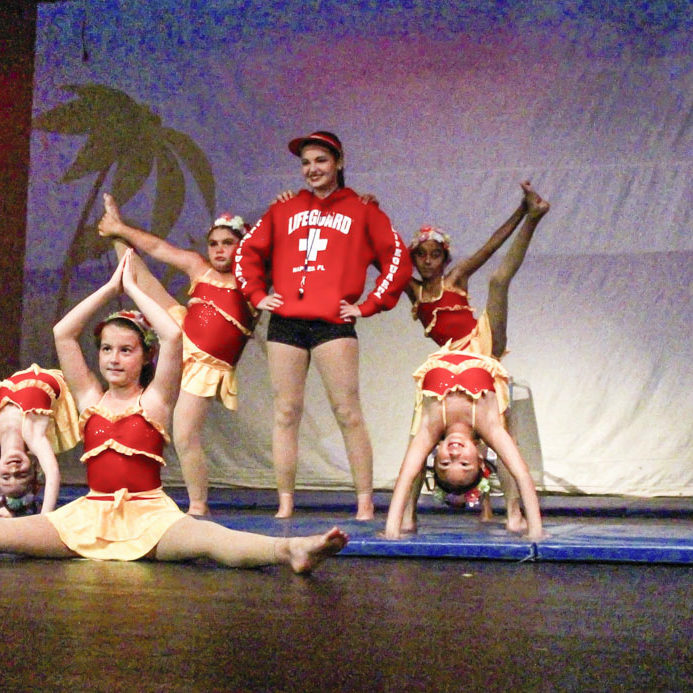 Instructors use age-appropriate coursework to nurture the young dancer’s physical, emotional, and social skills. Classwork develops the basic elements of creative movement, basic skills, as well as vocabulary, and music. Primary objectives are geared toward inspiration, self-expression, creativity, and imagination. Young children experience the love of learning through dance and music. Classes are focused on learning basic dance terminology and technique as well as life skills. During each class, dancers will improve upon their gross and fine motor skills, balance, alignment, and kinesthetic awareness. These classes will be one of their first steps into a classroom – they will experience the importance of sharing, waiting our turn, and working in groups! Children’s Dance classes run full year (Sept-June), and end in an optional (but highly recommended) end-of-the-year recital in June. 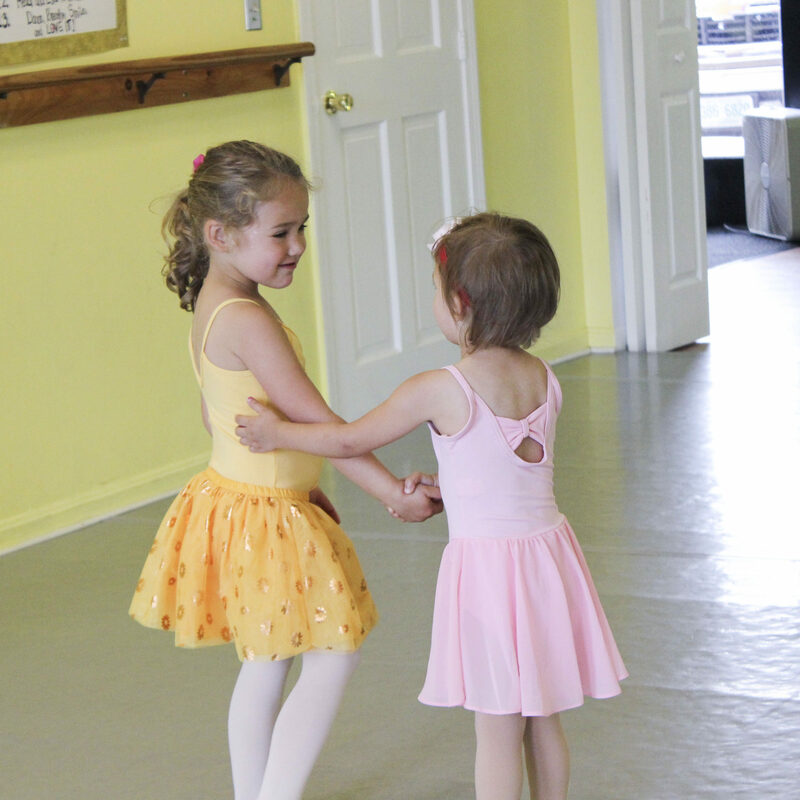 Come try an introductory class designed to introduce your tiny dancer to the world of dance. Classes include creative movement, pre-ballet, and pre-jazz. This 30-minute class is geared toward improving basic motor skills, agility & rhythm. 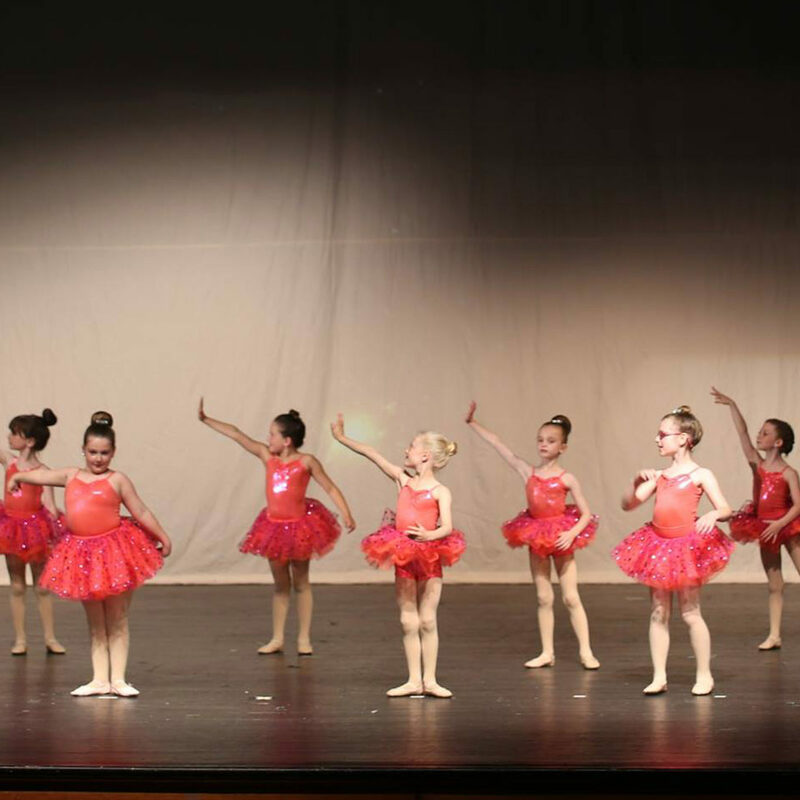 Dancers will perform a Ballet dance in the annual recital. A combination of creative movement & beginning pre-ballet skills are introduced for older toddlers and pre-schoolers. This 45-minute class is geared toward improving basic motor skills, agility & rhythm. Dancers will perform a Ballet dance in the annual recital. A combination of creative movement & beginning pre-ballet skills are introduced for older toddlers and pre-schoolers. This 45-minute class is geared toward improving basic motor skills, agility & rhythm. 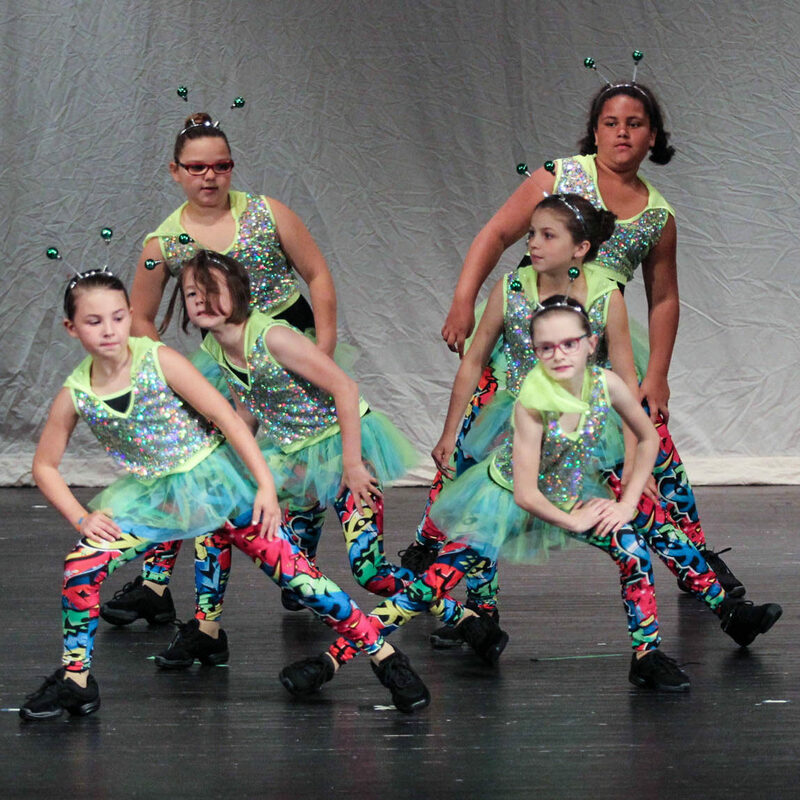 Dancers will perform a Tap dance in the annual recital. This 45-minute class will combine both pre-ballet & beginning Tap for pre-school/kindergarten age dancers. This class is geared toward improving basic motor skills, agility and rhythm. 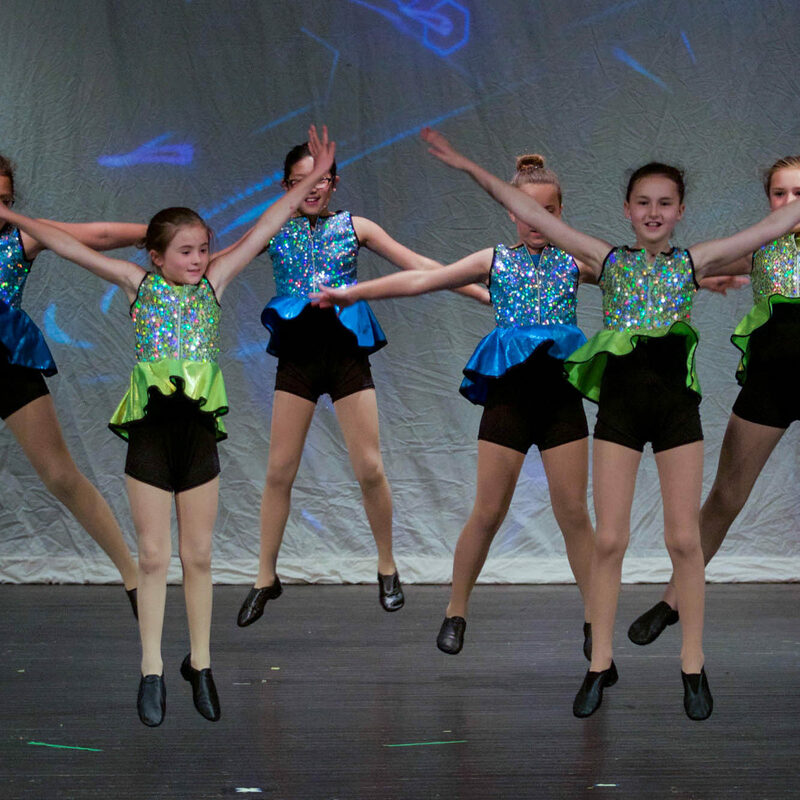 Dancers will perform a Tap dance in the annual recital. Hip Hop is a dance style, usually danced to hip hop music, and includes a wide range of styles like breaking, locking, and popping. This class requires stamina, hard work, and a strong core. Students should be prepared for a challenging and rewarding class. 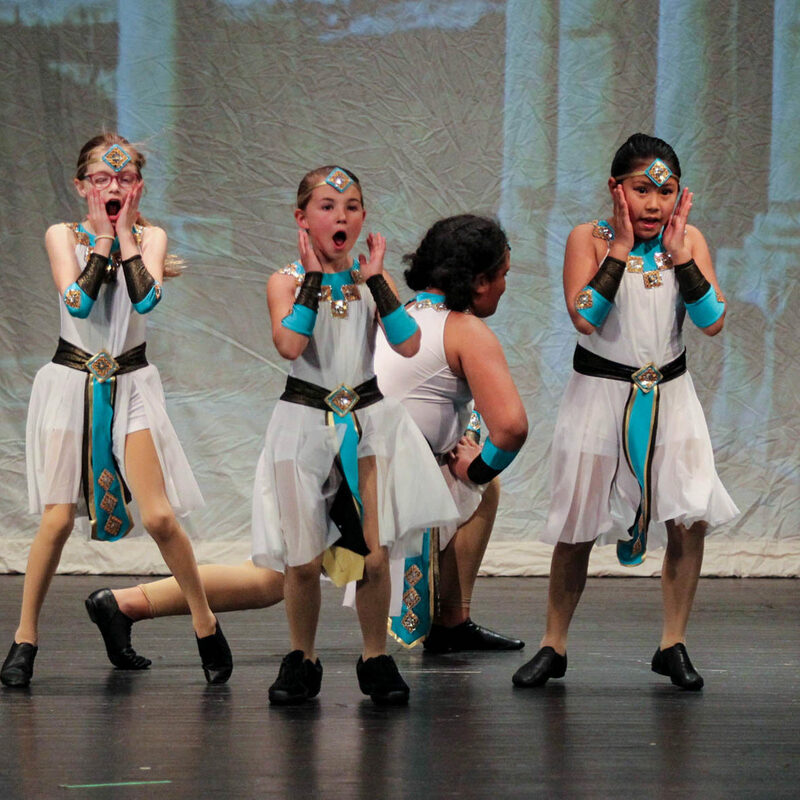 Dancers will improve their musicality, strength, stamina, and more! This one-hour class will combine both beginning Ballet & beginning Tap for kindergarten age dancers. This class is geared toward improving basic motor skills, agility and rhythm. Dancers will perform both a Tap and Ballet dance in the annual recital. This one-hour class will combine both beginning Ballet & beginning Tap for kindergarten/1st grade age dancers. This class is geared toward improving basic motor skills, agility and rhythm. Dancers will perform both a Tap and Ballet dance in the annual recital. This one-hour class will combine both beginning Ballet & beginning Tap for 1st/2nd grade age dancers. This class is geared toward improving basic motor skills, agility and rhythm. Dancers will perform both a Tap and Ballet dance in the annual recital. Acrobatics uses strength and flexibility to perform gymnastic-based tricks. In this 45-minute beginner-level class, students perform conditioning exercises to prepare them for increased difficulty. It teaches flexibility, balance, strength, and coordination. DIDC Acro Instructors are certified by Acrobatic Arts and classes follow the Acrobatic Arts syllabus. The classic dance form of ballet teaches strength, poise, and balance using specific terminology, technique, and choreography. Dancers are trained at the barre in order to develop correct posture and to prepare the body for the demands of classical dance. The main goal of Ballet is to learn and improve upon one’s technique, which will be used as a foundation in every subject of dance. In this 45-minute ballet class, dancers learn to execute classical movements with grace. Tap dancing is an American art form. It is a step dance tapped out audibly with hard soled shoes. It was born in the 1800’s meshing a wide spectrum of percussive dance styles – African, English, Irish and Scottish. This 45-minute tap class teaches dancers the beginnings of understanding rhythm and timing as well as footwork and agility. Traditional Jazz consists of unique moves, fancy footwork, big leaps, and quick turns. It teaches strength, power and flexibility and is performed to contemporary music. 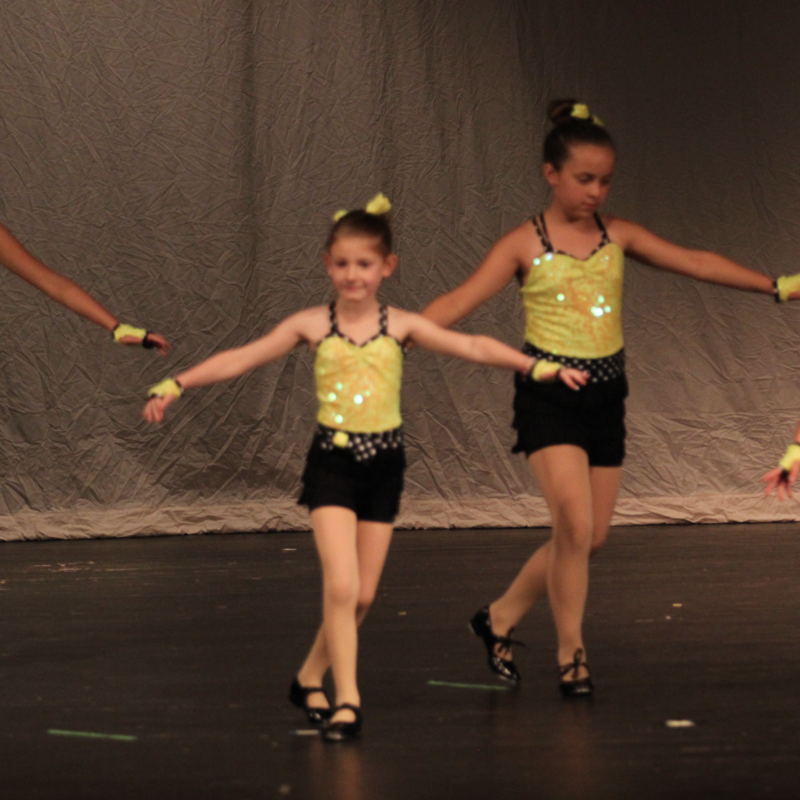 Jazz dance is lively, fun, and full of rhythm! Acrobatics uses strength and flexibility to perform gymnastic-based tricks. In this 60-minute beginner-level class, students perform conditioning exercises to prepare them for increased difficulty. It teaches flexibility, balance, strength, and coordination. DIDC Acro Instructors are certified by Acrobatic Arts and classes follow the Acrobatic Arts syllabus. A fun and expressive class covering the variety of styles used in Broadway theater choreography. Dancers ages 7 and up will work on developing a combination of jazz dance and theatre performance technique using music, props, narrative, and facial expression. A basic jazz background is recommended. A great class for those who just love to put on a show!